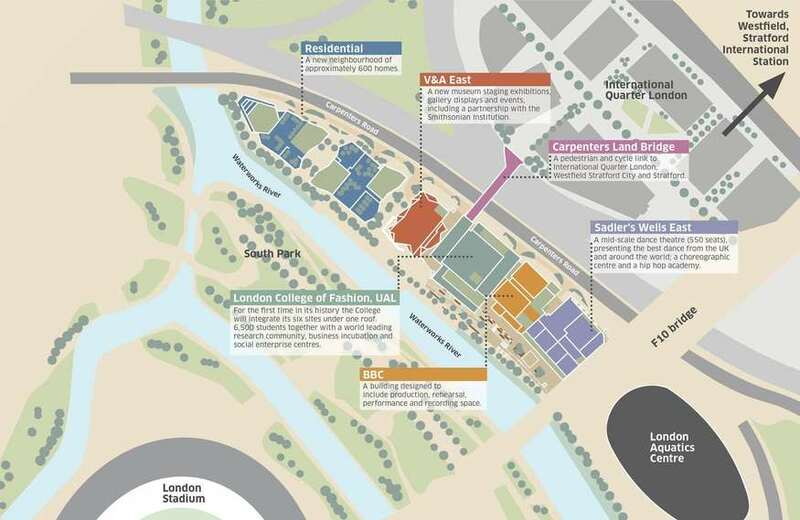 Another tranche of redevelopment awaits the Olympic Park. 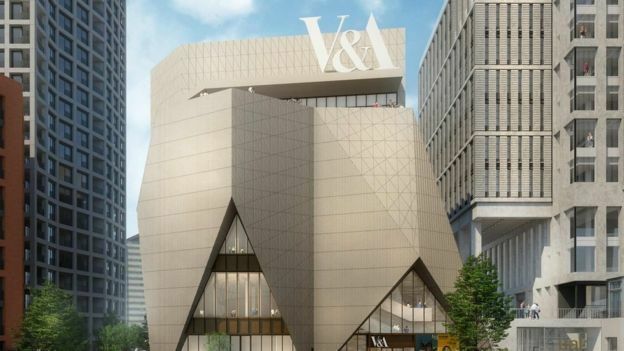 Mayor Sadiq Khan has announced a £1.1 billion scheme that would include new buildings for the BBC, the V&A, UAL and Sadler's Wells as well as plenty of housing. This string of cultural baubles will slide in to a finger of land north of the Olympic stadium and Aquatics Centre. Here's a handy map we've lifted from an excellent Guardian article. 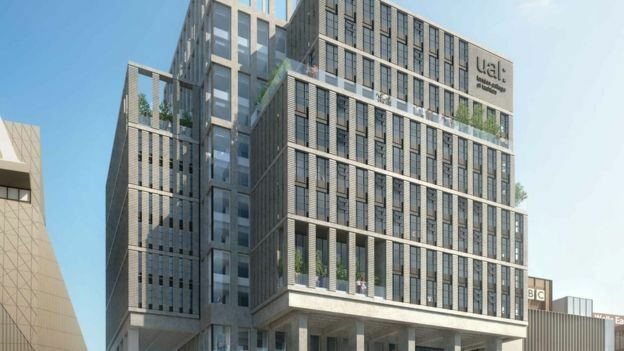 The development is being promoted under the name of East Bank — a generic, workaday title until you say it out loud. "I'm interested in viewing e-Spank material, please," one might enquire of the estate agents. Still, it's a better name than Olympicopolis — the risible moniker chosen last time plans were floated for this plot of land. So here's what we can expect from the new district of e-Spank. 1. A fresh outpost of the V&A, which we're dubbing the Boba Fett Helmet. Fans of beige triangles will be very pleased. 2. A 'new residential neighbourhood' with 50% affordable homes (wonderful if it happens, though experience suggests otherwise). 3. A new College of Fashion from University of the Arts London. Its architecture screams 'fashion' and 'glitz' about as much as a Home Counties outpost of Deutsche Bank. 4. 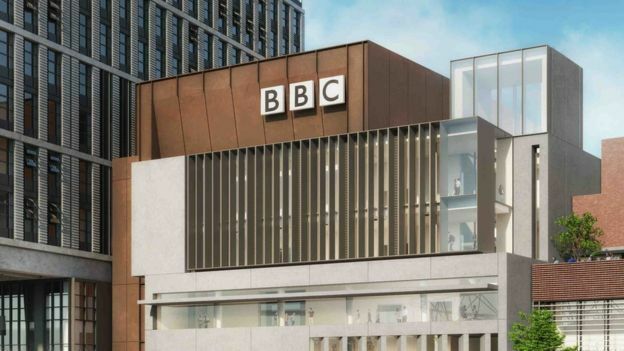 In a move that may prove controversial, the BBC hopes to shift its historic recording facilities at Maida Vale to a purpose-built centre in e-Spank. The rusty, industrial look echoes the appearance of the nearby Hackney Wick station. 5. 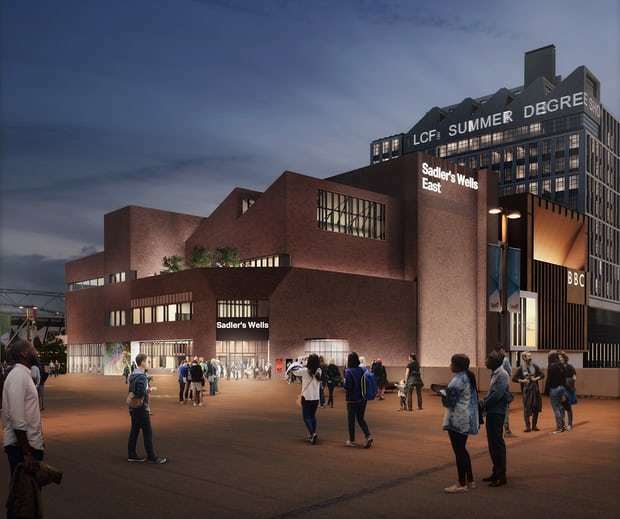 The site will also include a new dance theatre for Sadler's Wells. This is perhaps the most interesting building of the set. Its brick-lined mass of shapes looks like the lovechild of the Tate Modern extension and the National Theatre. 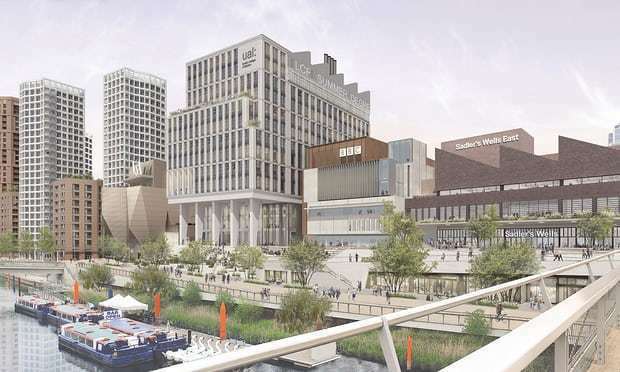 As Oliver Wainwright points out in the Guardian, the revised plans were partly prompted by a furore 12 miles away in Richmond. Here, a protected view of St Paul's had been 'ruined' by another development at Stratford (but only for people with extremely good eyesight or a telephoto lens, on a clear day, who are oblivious to the forest of cranes that forever mar the view anyway). The fallout of this NIMBYism prompted developers to scale back the heights to something more mid-rise. The new district of e-Spank is expected to be up and running by 2022. London To Get Cathedral Sized Crystal Ball?